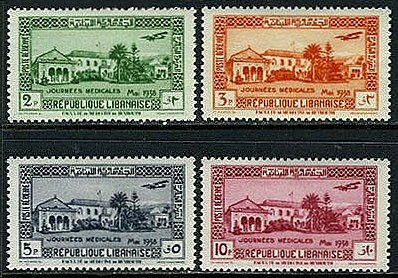 In 1938, Lebanon issued a set of four airmail stamps honoring the convening of a medical congress (Scott #C75-78). 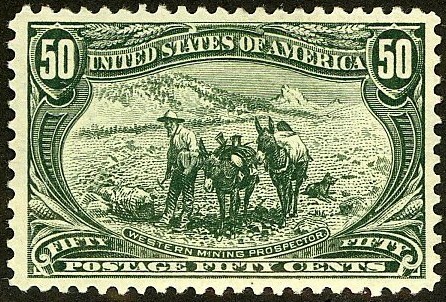 30,000 sets were issued, and Scott '13 prices the unused set at $ 22.00. The issue has multiple market appeal among collectors of Lebanon, French Colonies/Possessions, and Medical Topicals. A nation of 4.2 million people, Lebanon is noted for its commercial enterprise. Over the course of time, emigration has yielded Lebanese "commercial networks" throughout the world. As a result, remittances from Lebanese abroad to family members within the country total $8.2 billion and account for one fifth of the country's economy. The country has the largest proportion of skilled labor among Arab States. The tourism and banking sectors are the the most important pillars of the Lebanese economy, though they have at times been disrupted by political instability. Annual GDP growth has averaged about 4.8% over the last 5 years.